I was asked to write a blog post about farmers - to explain what are the difference between chalupník (chalupner, cottager), sedlák (rusticus, Bauer, farmer), who was gruntovník and so on. I'll try to do my best to explain the differences and introduce different kinds of Czech farmers. Let's start with hide (lán in Czech). It's a historical measurement used in both Bohemia and Moravia. There were different kinds of hides used, the one used for farmers was usually about 18 hectares (45 acres) large. It was a basic measurement and farmer who owned one hide of land and more (this is important to emphasize) was called láník (Lähner in German) or celoláník (Ganzlähner, celý, ganz = whole). I usually translate it as a farmer owning one hide of land. These farmers belonged among the largest farmers among our ancestors. Those owning three quarters of hide to one hide were called třičtvrtěláník (Dreiviertlähner or Dreiviertler in German). It means they had between 13,5 and 18 hectares of land. Those owning half to three quarter of hide were called pololáník or půlláník or půlník (Halblähner in German). Farmers owning from one quarter to one half of hide were called čtvrtláník or čtvrtník (Viertllähner or Viertler in German). One quarter of hide was minimum to be called sedlák (farmer), but you can see (mainly in southern and south-eastern Moravia) also farmers with half of one quarter of hide, called půlčtvtník (Halbviertler). This is historical case when houses were divided between two sons and both of them received half of the quarter - you can see such houses for example in Nová Lhota (Hodonín district). Example of house divided among two people. Nová Lhota, Hodonín district. Those who owned less than one quarter of hide were called chalupník (Chalupner in German, usually translated as cottager). These people belonged among farming class but weren't called sedlák. Their fields quite often weren't large enough to provide enough food to the family so they were often also craftsmen. There is one more name you will most probably see in the registries if your ancestors were from Eastern Moravia - pasekář (Passeker in German). Paseka is forest clearance and this gives us a hint how these farms were founded - by clearing part of forest and settling there. 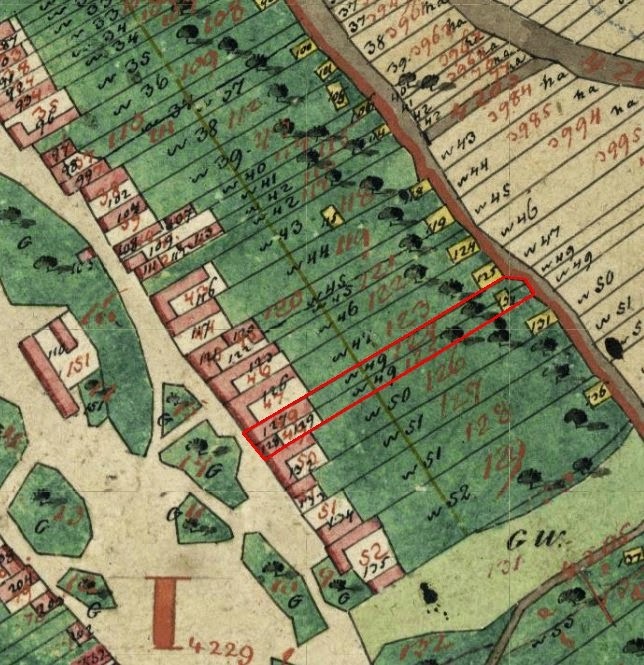 The area of such farm wasn't strictly set, so it's hard to say how much land they had - the best way to find out is to check cadastral books in archives. Example of pasekář settlement in Držková, Zlín district. Forests are grey. Gruntovník was anyone owning a farm. Grunt means farm house, so anyone owning such house could be called gruntovník in parish books. The question of ownership was also raised. Were farms owned by farmers or by the domain holders? Generally, as long as serfdom existed they were owned by the domain holders even the fact that the farmers lived on one farm for centuries. The farm was often inherited in the family but it didn't mean the farm couldn't have been taken away from the family - if the farmer was a bad housekeeper the domain owner has his right to decide he is going to change the keeper of the farm. There were several serf duties connected to the ownership of the farm - farmers paid interest out of the farm (was set during the purchase) and they were also obliged to robota, labour for the domain owner, usually on his fields. Robota was set differently for various farmers, it always depended on the area of the farm. This is a wonderful article. It seems to answer most of the questions people have about the farm terms, both in the Czech Facebook site as well as Ancestry. The only thing I can think of is when the daughter inherited the land, and was called "bauerirn". This is the same as in older German texts the difference between a mans name e.g. Mayer and his wife was written Mayerin. Blanka, do you have a reference to finding the house numbers on an old Bohemian map. I had a site but have lost the URL. I am researching the Rosshaupt Church records and found house numbers. 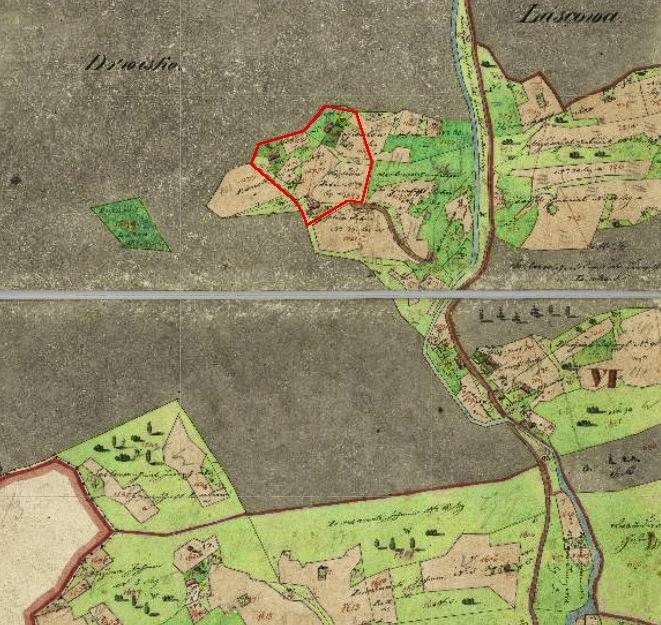 Thank you, that was not the one I had but it is a great one for the map; now I can see the villages nearby and I can use it to search more church records. I will go through all my links to see if I can find the one with the house numbers. Many times my ancestors who lived in Dalecin, Uncin-Zbytov, etc. were listed as "Bauer". I know that is a farmer, but what category would that fall in. Bauer is just German word for sedlák, farmer. It just tells us your ancestors belonged among those who owned fields larger than one quarter of hide. Additional research would be needed to find out how much land they had. Ahoj Blanko, jeho pátek! doufám že máš vélky den!! Hi Dan, I have prepared a blog post about these professions, it will be online on Sunday. :) Thanks! Blanka, here's a website I found that has a lot of useful information on Czech land and property. I've just begun exploring your website. I can see it has a lot of very useful information. Thank you for sharing it. Looking for a location of a place named nosislav possibly in moravia. Also church records RC from Prejta and I'll available in Trencin. Lllava is a place! Where can I lok for RC church records.